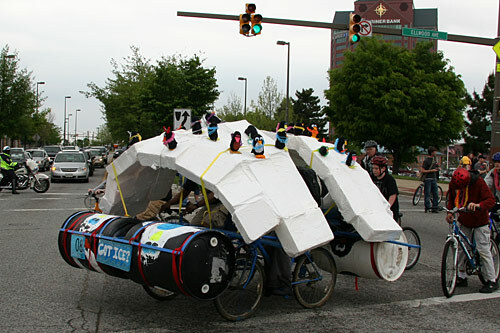 Baltimore Kinetic Sculpture Race: 2009 Race Report: Got Ice? 2009 Race Report: Got Ice? 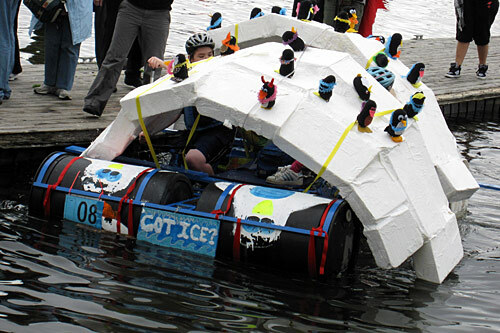 It seems that almost every year’s Kinetic Race brings a very different entry on the theme of penguins, and Got Ice? includes polar bears, all wearing Hawaiian leis in concerned anticipation of the effects of global warming. The sculpture didn’t offer very good visibility for its pilots, but did complete the race. 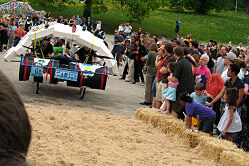 It was created by the Baltimore Lab School, responsible for 2008’s Pirate Punks.